New York: On September 9, Tiffany & Co. will once again join forces with Doutzen Kroes, Global Ambassador for the Elephant Crisis Fund, to launch the second #KnotOnMyPlanet campaign during New York Fashion Week. #KnotOnMyPlanet is a social media campaign driven by the fashion industry to support the Elephant Crisis Fund (ECF) whose mission is to stop elephant poaching and to end the global demand for ivory. In continued support of the Elephant Crisis Fund and the #KnotOnMyPlanet campaign, Tiffany announced Tiffany Save the Wild, its first collection created for a cause launching worldwide in stores and on Tiffany.com in September 2017. 100% of profits from this new collection will be donated to the ECF with a minimum donation of USD $1,000,000 by January 31, 2019. Kroes and Tiffany have rallied support from friends including Tiffany fall campaign stars Janelle Monáe, Zoë Kravitz, Annie Clark (also known as St. Vincent), Elle Fanning and David Halberg alongside fashion influencers Candice Swanepoel, Miranda Kerr, Natalia Vodianova, Rosie Huntington-Whiteley, Lily Donaldson, Jordan Barrett, Irina Shayk, Emily Ratajkowski, Lily Aldridge, Behati Prinsloo, Imaan Hammam, among others. These leading voices in fashion and culture will help create awareness on social media and drive support for this urgent cause. Fashion’s top names will give their time during the hectic Fashion Week schedule to be photographed by Tiffany Chief Artistic Officer, Reed Krakoff, wear the new Tiffany Save the Wild collection, build awareness by sharing ‘Did You Know’ elephant facts and pledge to never forget by declaring ‘Knot On My Planet!’ Others will generously lend their creative talents, image and social media influence to help galvanize support for the cause. Up to 30,000 elephants are killed every year due to the demand for their tusks. The ivory trade is decimating elephant populations across Africa and threatens the future of this most magnificent of species. 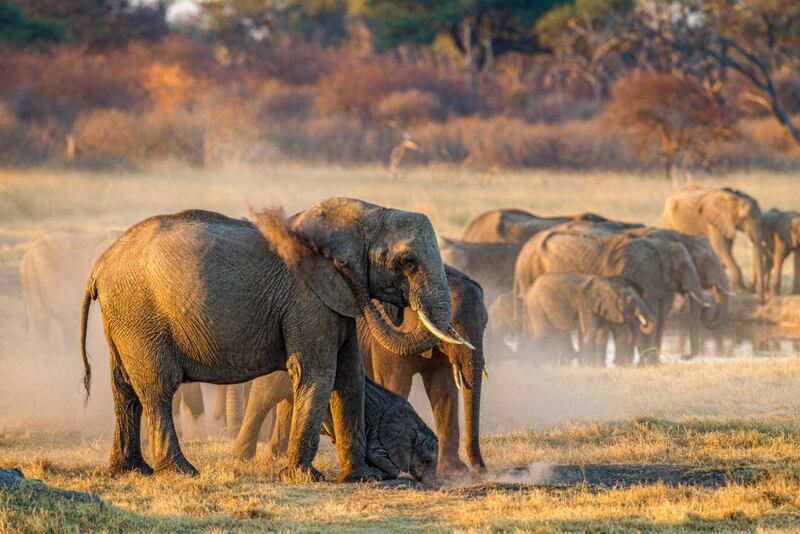 The Elephant Crisis Fund, however, channels human generosity to the best ideas around the world to stop the killing of elephants, the trafficking and demand for their ivory. To date the ECF has supported more than 80 organizations and 160 projects across 31 countries. The Tiffany Save the Wild collection starts at $150 and is available in stores and online in September 2017. 100% of profits from the collection will be donated to the Elephant Crisis Fund. Founded in New York in 1837, Tiffany & Co. is the world’s premier jeweler and America’s house of design. An iconic brand with a rich and storied heritage, Tiffany is a global manufacturer and retailer of jewelry and luxury accessories. The company operates more than 300 TIFFANY & CO. stores in 28 countries. Please visit us at Tiffany.com. The Elephant Crisis Fund, a joint initiative of Save the Elephants and the Wildlife Conservation Network in partnership with the Leonardo DiCaprio Foundation, is the most effective and innovative way for people who care about elephants and the future of wild Africa to stop the killing and trafficking of elephants and demand for their ivory. It supports the best ideas, rather than a single institution for it will take the most critical actions of all to save elephants. Uniquely, every cent of every dollar goes directly to the ground, not to organizational overhead. For more information, visit ElephantCrisisFund.org.